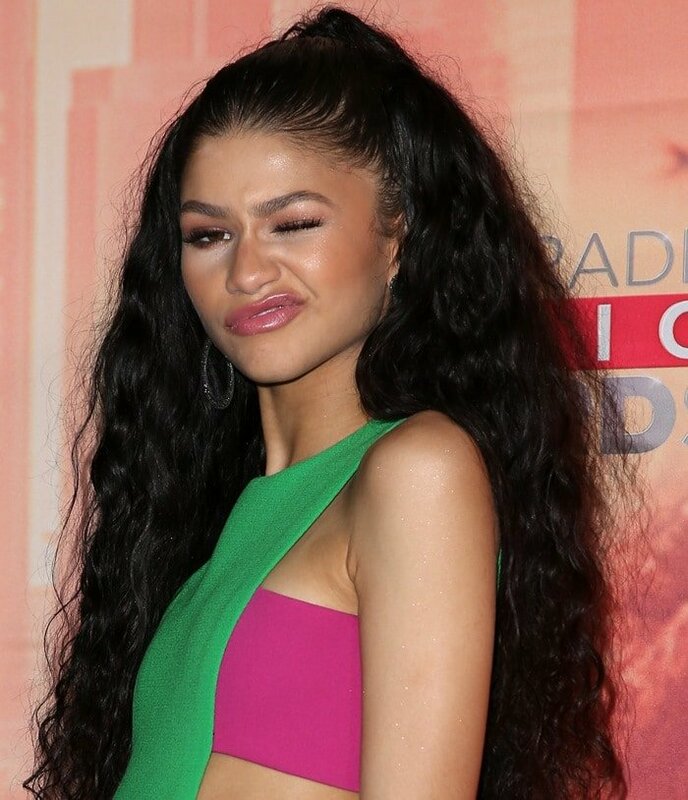 Zendaya looked stunning in a colorful ensemble while walking the red carpet at the 2015 iHeartRadio Music Awards held at the Shrine Auditorium on Sunday in Los Angeles. 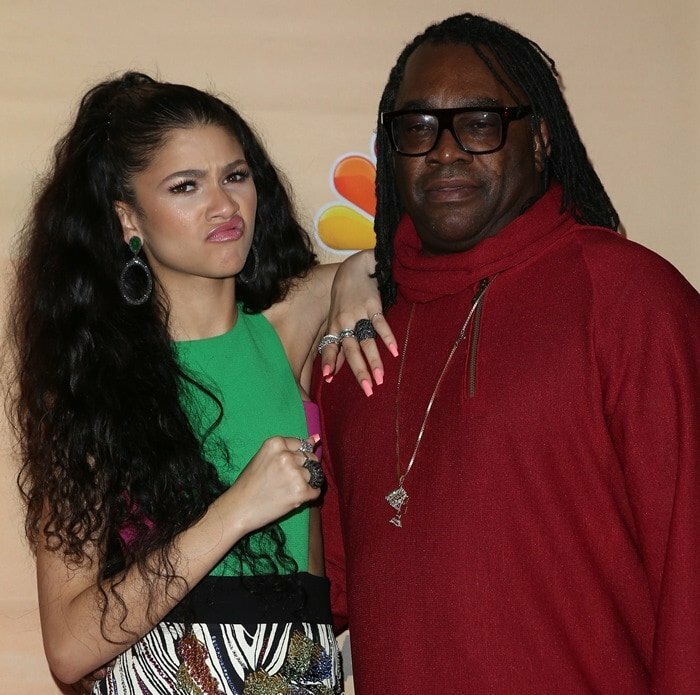 She was accompanied by her father, Kazembe Ajamu Coleman. The 18-year-old K.C. Undercover actress sported a multicolored mini dress from the Fausto Puglisi Fall 2015 collection featuring a graphic black-and-white skirt and a green/pink bodice. She accessorized with Carla Amorim and Pasquale Bruni jewelry and a pair of hot pink pointy-toe heels from Jimmy Choo. 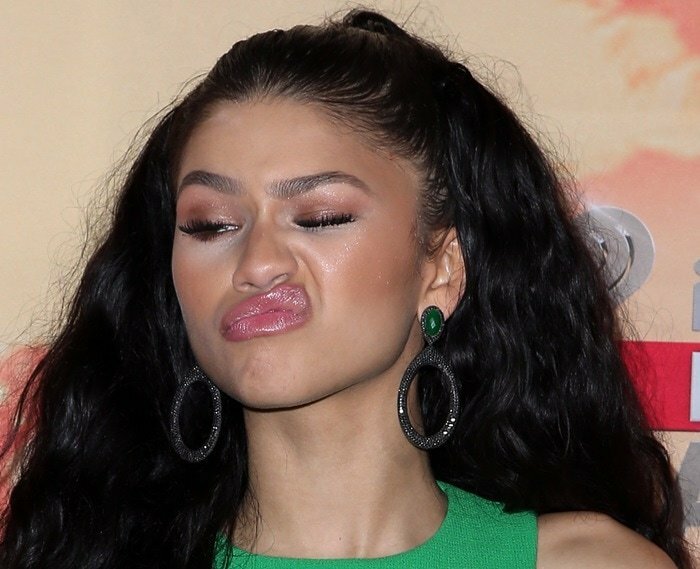 While this dress would look tacky and tasteless on most celebrities, Zendaya Maree Stoermer Coleman somehow made it work. Do you like how she styled her dress? 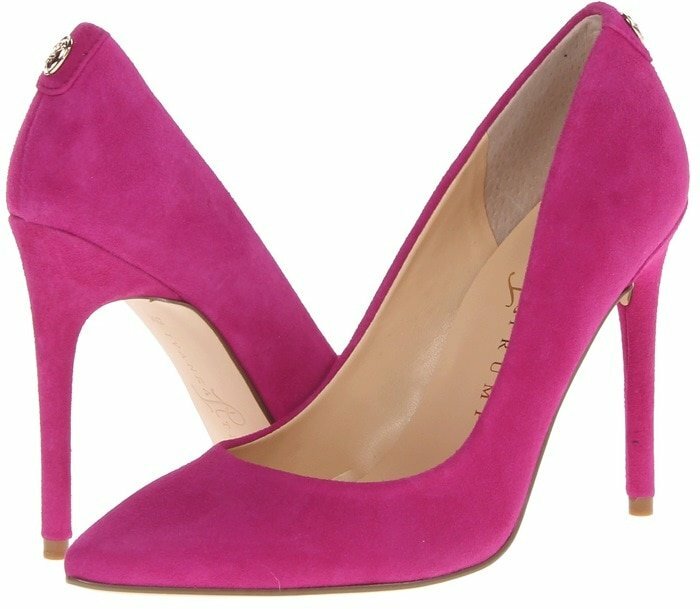 There’s a wide range of pink Jimmy Choo pumps available at Nordstrom, Farfetch, and Mytheresa. Alternatively, you can find affordable pink suede alternatives starting from under $20 at Amazon and 6pm.